It’s been a while since posting tennis related articles and I’ve been very busy lately but it’s good to get back here on FedererFan07, the #1 Federer site on the web. 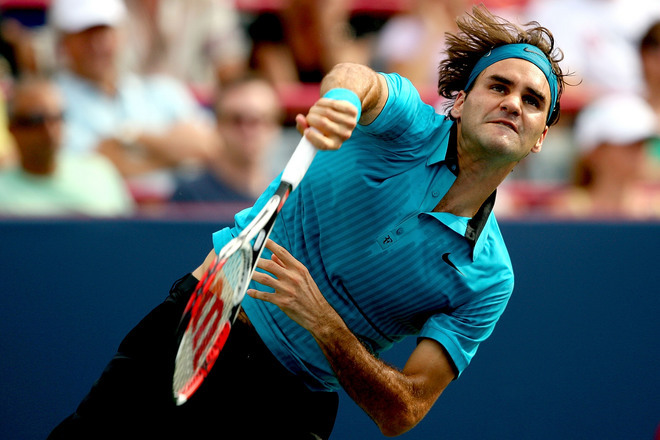 Next week is the Rogers Cup in Montreal where all the top players will be in action. Getting into Roger’s draw, he is seeded #3 and will likely face Juan Ignacio Chela in his first match (second round, first round bye). He may face Jo-Wilfried Tsonga or Bernard Tomic in the third round, with Nicolas Almagro being his seeded opponent in the quarterfinals. Being in the top half of the draw, Federer’s semifinal match-up is with new #1 Novak Djokovic. 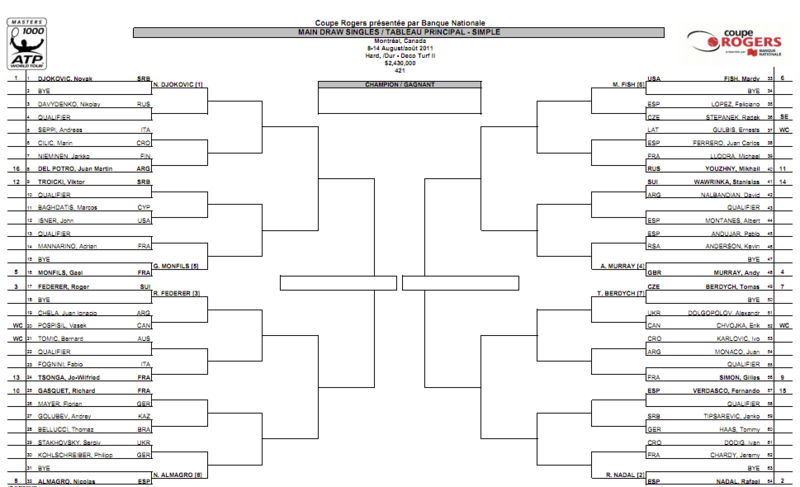 Check out the complete draw below. Get ready for more in the coming days (Roger’s birthday coming up on August 8). iPhone and iPod touch owners: Stay updated on the go with the Rogers Cup iPhone app. Be social. Browse photos at FedererFan07 on Facebook. Get instant updates by following FedererFan07 on Twitter. FedererFan07 is the #1 Federer site on the web.